and gave it a courtesy peck following this picture. First off, I'm planning out my grocery list for tomorrow so I can go ahead and get my Thanksgiving items, then I won't have the traffic and crowds to deal with next week. I have some pumpkins left over from my Fall decorations that I need to cut open and get the goods out of them. I love toasting pumpkin seeds.. do you? Lastly from the kitchen- thanks to one of my best friends' hubby, I now have a freezer full of ground venison to make jerky with. I am going to experiment with different spices this time to see how many varieties I can come up with.... Hubby loves deer jerky and is very excited about being my taste-tester. Will I ever get finished? I agree with you. I am going after my groceries and things I need for Thanksgiving tonight so that I don't have to put up with the groups on Black Friday. My dils and friends are going shopping early on Friday. Me I am going to sleep in and spend the day in my chair with a good book. I love photos of your chickies. I'm sure the sheep will be soft and fuzzy angels for you. Praying for protection for your nose! lol Enjoy your preparations for the holidays. Oh, I'll pray that all goes well at the pedicures on Saturday! Doesn't the list just seem to grow and grow! It's so hard to prioritize and do only the really, really important stuff so you have enough energy left to enjoy friends and family. Those silkies are great. nice pic. 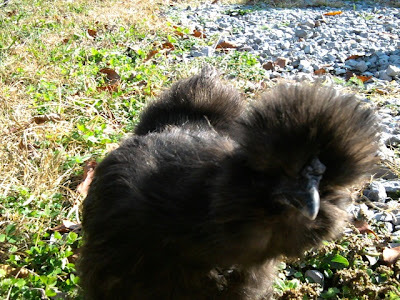 I love the picture of Belle and I am really wanting some silkies. I'm wondering if they would do ok in our Utah winters. I found a great magazine, all about chickens (let me tell you my joy was contrasted by my 21 yr. old sons head shaking about my spending money on a magazine all about chickens) and there are some really great chickens highlighted. We have stuck to the hardy varieties thus far. Hope you get all of your projects done and have a wonderful Thanksgiving !! It is Such a busy time of year! Hope you get all of your errands ran!! Hi Paula, That is so funny about the silkies needing a hobby!!! Yes, I love toasted pumpkin seeds and John loves jerky. I know your husband will enjoy tasting the different varieties you come up with. Hope you have a wonderful Thanksgiving. If you are anything like me, you will get finished on Christmas eve around 2am. lol. No I will think positive thoughts for you. I will try to remember to pray for you and your nose on sat. lol. It is good to hear from you. I hope you have a good weekend and get alot accomplished. Got my shopping done! I really do NOT like the crowds either. No Black Friday shopping for us. We will have Mallory, Chloe and Tristen Thanksgiving night and Black Friday. You better keep an eye on those broodies. Will it be warm enough for little babies? Fluffy bottoms be enough? Bella has the most wonderful hat, with the Northcountry chill, I sure could use one like hers... Love it! Oh yes, cleaning the chicken coop, I have been pocrastinating on that job, but need to get it done before the winter weather arrives. I pretty much have all my fixins for the feast, and expecting a crowd, should be fun! Happy Thanksgiving just in case I don't get back over before then. HAha, my silkies are getting broody also,you'd think they'd know not to hatch chicks in the cold weather. Sounds like your list is as long as mine for the next few days. Good luck,hope you get everything done and enjoy a wonderful Thanksgiving. Hi Paula.. I loved your posting and that dear little chicken. A lot of our friends are going across the border to do some Black Friday shopping but I guess we aren't.. Be praying for God's protection over your nose this weekend.. Happy Thanksgiving... Ours was in October but Christmas is coming. Belle is a real cutie pie. I am think of getting some Silkies in the spring. I am making out my grocery list this morning and getting ready to head out to town(which is 25 miles away) for grocery shopping. and..I need to clean out my sewing room and get started sewing on the grandkids Christmas "cats". I need to get my list going and shop ahead. Good luck with the sheep this weekend. I think an awful lot of us have the idea to do our Thanksgiving shopping tomorrow, this will be fun! 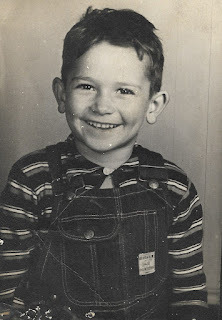 I cant wait to visit your blog later, From what I read of this post I know I will enjoy it. I came by way of Lea's blog. Blessings to you and God keep you safe. What an interesting "to do" list, regarding the critters, that is. You take such good care of them all. Now about grocery shopping---I just want to get it done. I sometimes feel like I would mow down my own grandmother with a cart if she got in my way and slowed me down (not REALLY), LOL! I do love the smells of Thanksgiving---pies, dressing, turkey. Hope you have a blessed holiday. That is too funny about the silkies. I often find two of my ladies waiting in line for the same box even though there are four other unoccupied boxes. I guess once they get their mind set on one particular box there is no changing it. Thankfully, someone has invited us to their home for Thanksgiving luncheon; all I have to do is make pies for the table. Thank you friends and thank you God! Got all my Thanksgiving goodies done and now today will start bakine four pies. I am tired already thinking about it. I hope you have a Happy Thanksgiving! I am sure the hens will love the new bedding and yes they really have got to get a hobby! It's a job going to the store and getting groceries for the holidays. 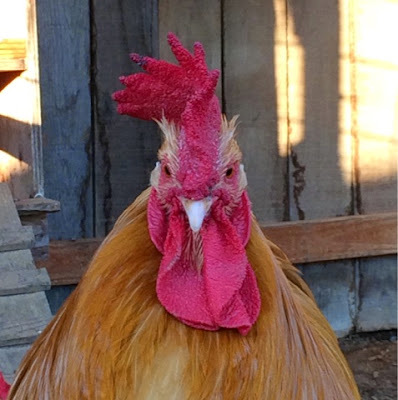 I love the photos of your chickens.